Before the rain came back Sunday night, I thrived in soaking in the last bits of sunshine. This particular striped combination was a last minute throw-on. 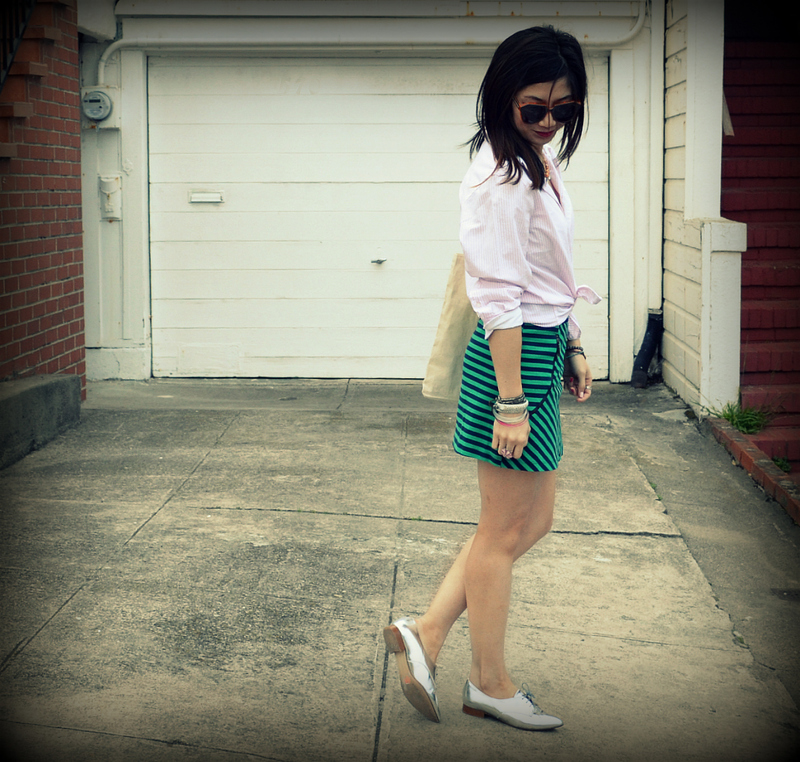 The subtle pink and white striped shirt paired with the chevron green pattern in the skirt made me feel as if I was going on a picnic rather than a day of errands. 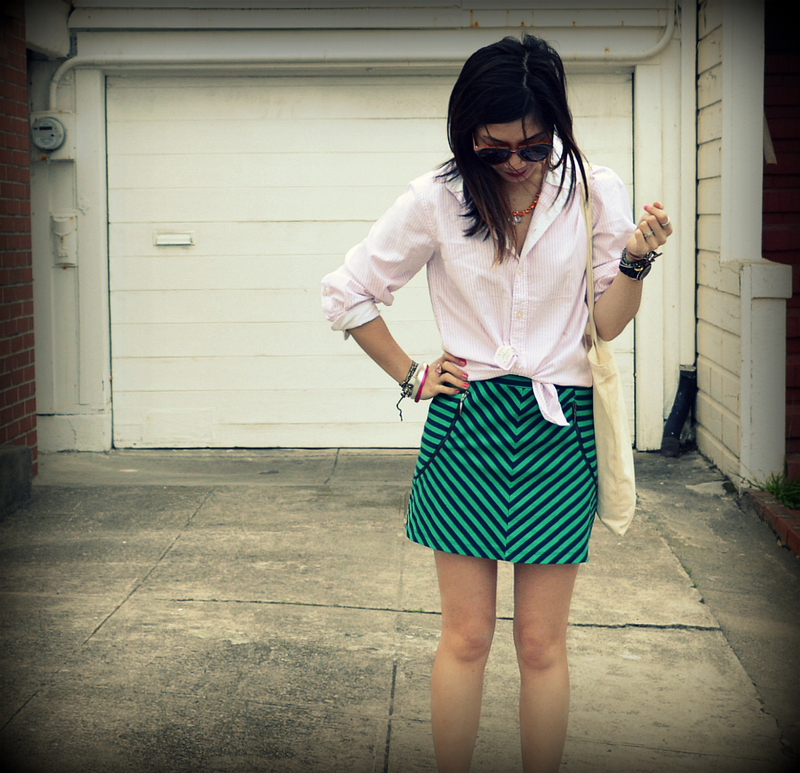 Though this is more of a spring/summer outfit, I didn't feel the need to limit myself because of the season. Sometimes, when the mood hits you just need to go with it... do you ever feel that way? I didn't do anything particularly exciting this weekend - I ran a few errands with my husband (actually, I love running errands with him...corny much? ), watched a movie (The Artist! ), saw the Grammy performances (surprised over the sudden death of Whitney Houston...), and finally began to become immersed in the television series, Downton Abbey. Adorable, as always! Weren't you freezing?! Great shoes and skirt. Love the nail art!! Downton Abbey is my fav. new show. 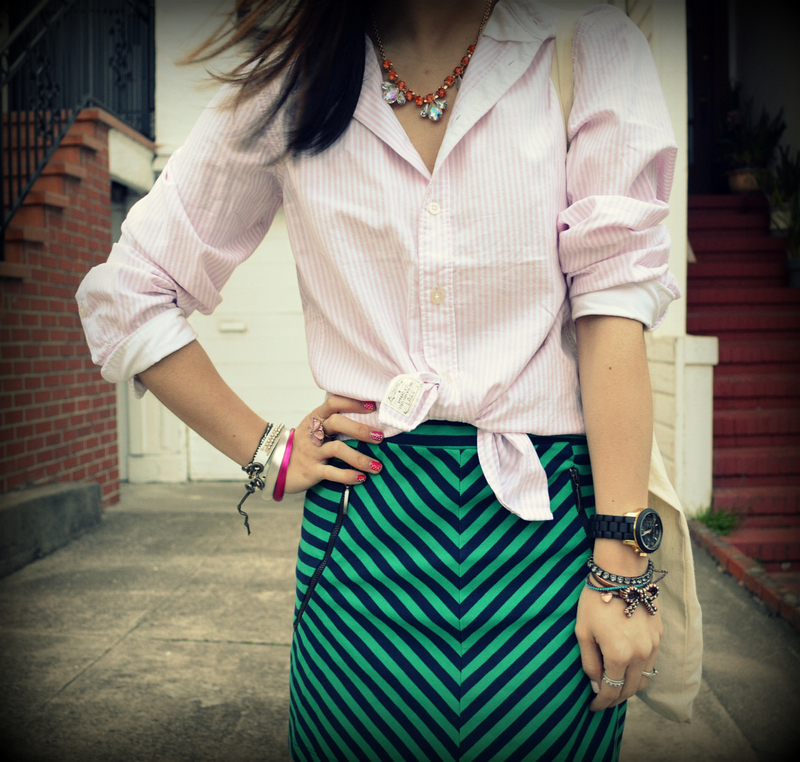 another fab outfit! love the shoes! beautiful skirt! !amazing blog! !i'm following you! !if you like mine,do the same!! !